Also know as galettes in France, these crepes are gluten- and dairy-free! My favourite day of the year is coming up, pancake day not Valentine’s day obviously, and I was practicing with some new flours. Holland and Barrett have just started stocking buckwheat flour and you can also get it in RealFoods and those kind of places. Buckwheat is naturally gluten free and adds more flavour to your pancake than wheat flour does. 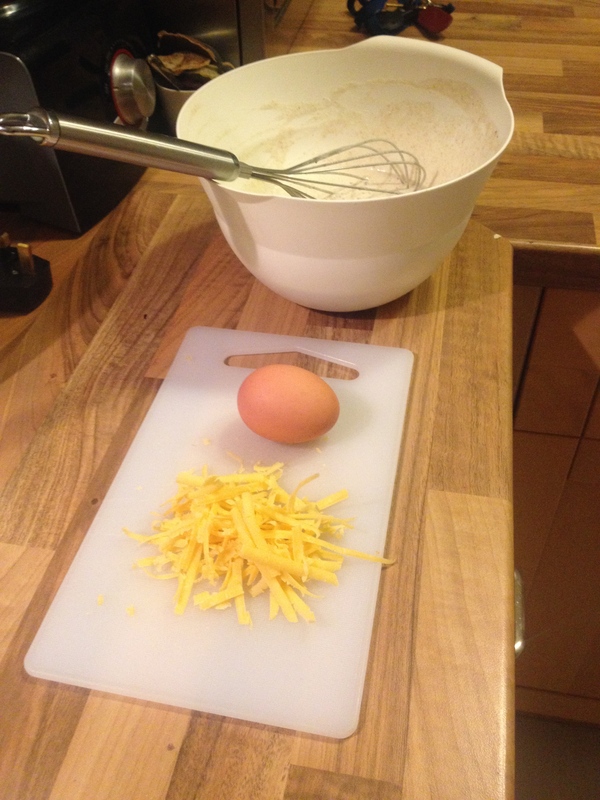 You can make them with all the usual pancake day fillings, though I went for the traditional French recipe of cheese and an egg. 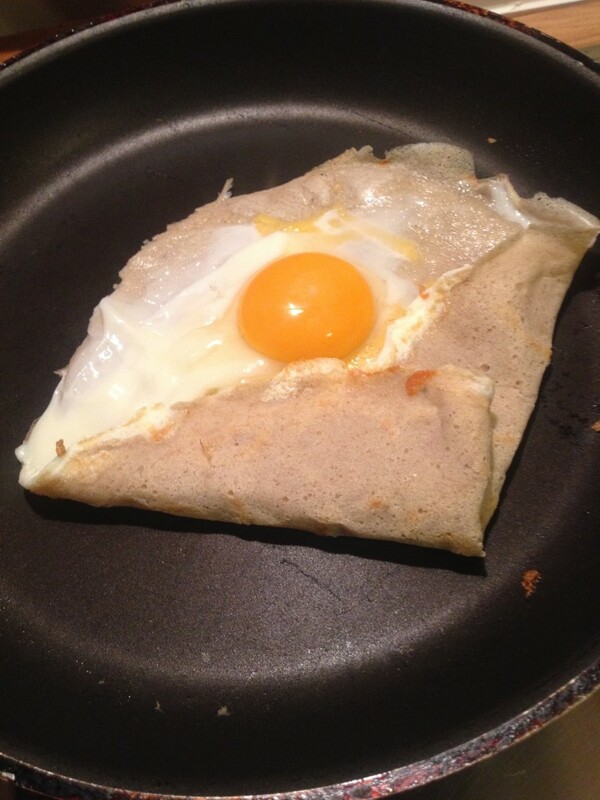 Cooked just right, with the egg still runny, the crepes make a wonderful light meal. Galettes are usually savoury but I’m sure with a spoonful of sugar instead of the black pepper you could fill them with sweet fillings e.g. nutella, undoubtedly. Many recipes include an egg in the batter, and some say it is optional, so I went without and they worked out fine. 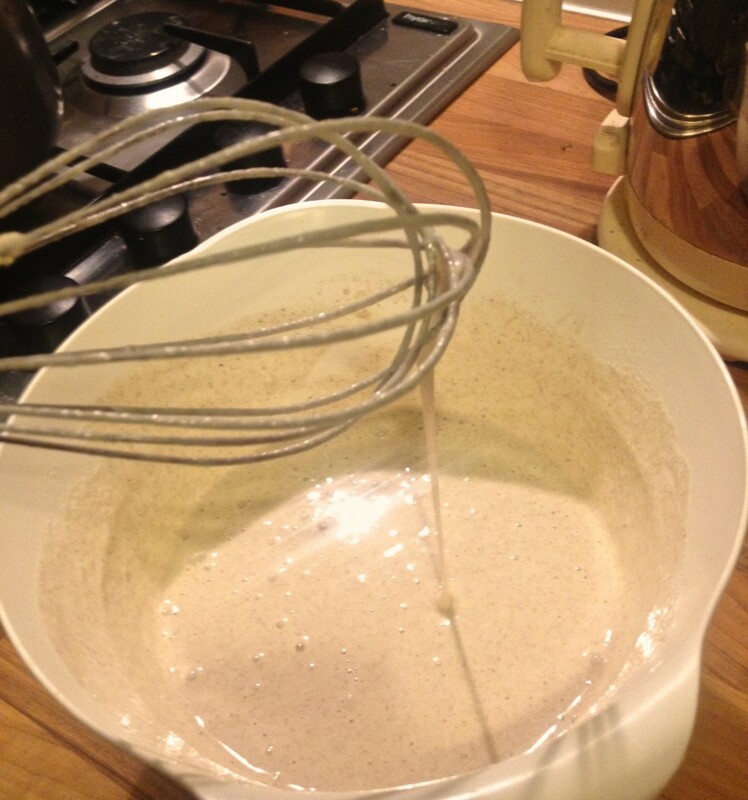 I may experiment in the future but for now here’s a dairy-free pancake batter to play with on Tuesday 17th. Weigh out your buckwheat flour into a large bowl and add the salt. Make a well in the middle and start to add your water gradually, whisking constantly. You want to end up with a runny batter about the consistency of single cream. Add a good few grinds of black pepper then leave the batter to rest for up to one hour. Choose your fillings and grate your cheese/wash your spinach/prepare your meat, whatever you fancy and get out a large frying pan or pancake pan if you are lucky enough to have one. Lightly oil your pan with coconut oil or equivalent and heat it to smoking point. Ladel in the batter and quickly swirl round to spread evenly. Leave to cook on the first side for 2 minutes then flip over. Add your fillings at this point, carefully cracking the egg into the middle if you are having one. Turn down the heat a little and after a couple of minutes start folding in the edges of the crepes. When the egg white is cooked and the yolk is starting to set you are done! Transfer to a plate and tuck in! Posted in Blog, Recipes and tagged buckwheat, dairy free, dinner, egg, flour, gluten-free, lunch, pancake, pancake day, pancakes, protein.